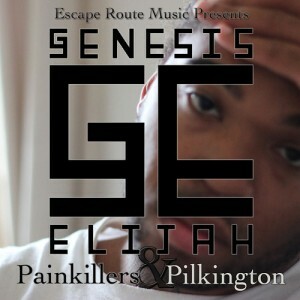 Big Gen gives you the enigmatically titled EP Painkillers & Pilkington, with Pastor Dutchie solely manning the boards. This is the warm-up to I Ain't Even Started Bruv. It is a true fact that Genesis Elijah is the only rapper followed by Ricky Gervais on Twitter, though rumours of a feature in an Office spin-off remain unconfirmed. Pick up the EP below.